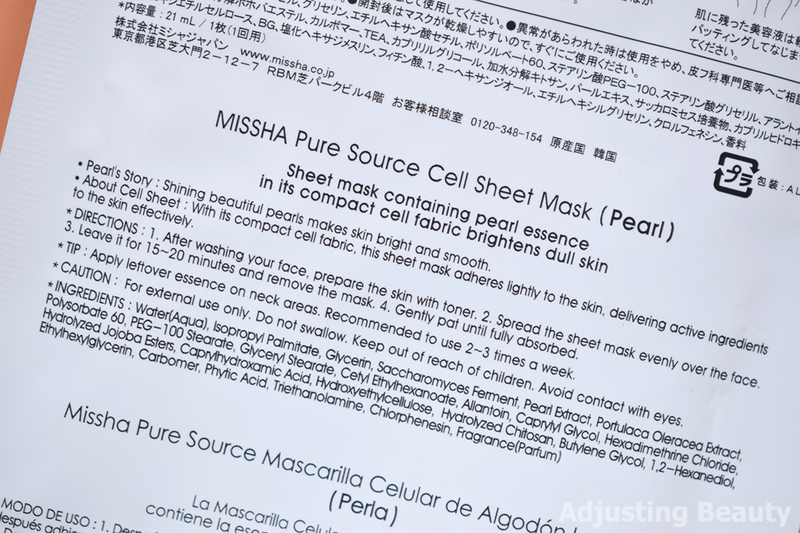 Sheet masks are one of those products that you either love or hate. 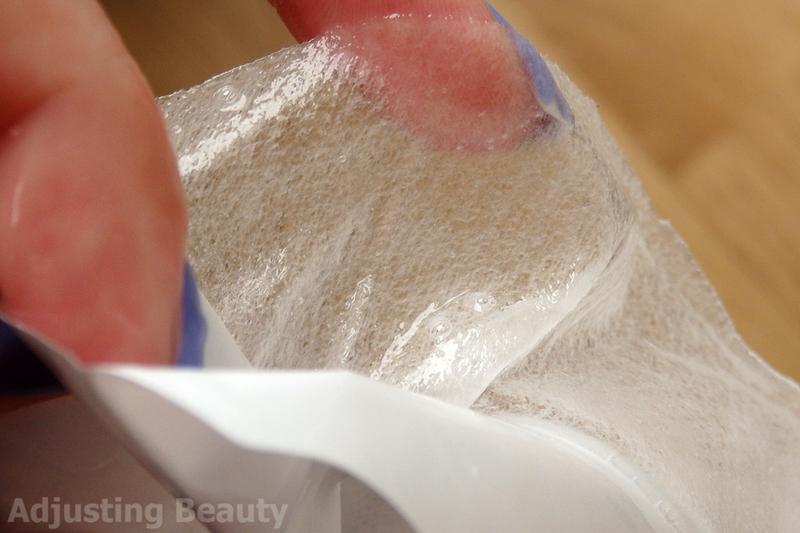 Some love pampering their skin with these every once in a while and others seem to either hate the feel of a cotton sheet on the face or think it's unnecessary step in the skin care routine. I love a good sheet mask, more than I like regular clay masks. Reason being, that I associate it with pamper time and I love the feeling of sheet mask on the skin as well as the glowy effect that it leaves on the skin. It's the perfect base for special events makeup or as an extra nourishing treatment for when you're skin is just a bit meh. 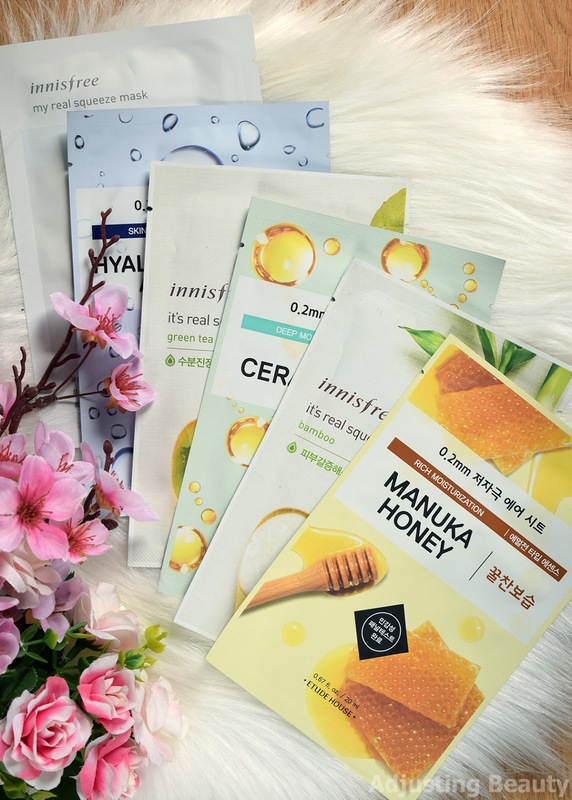 Sheet masks originated in Asia, so I tend to go for their brands of masks more than European, although European brands have also been making their versions. 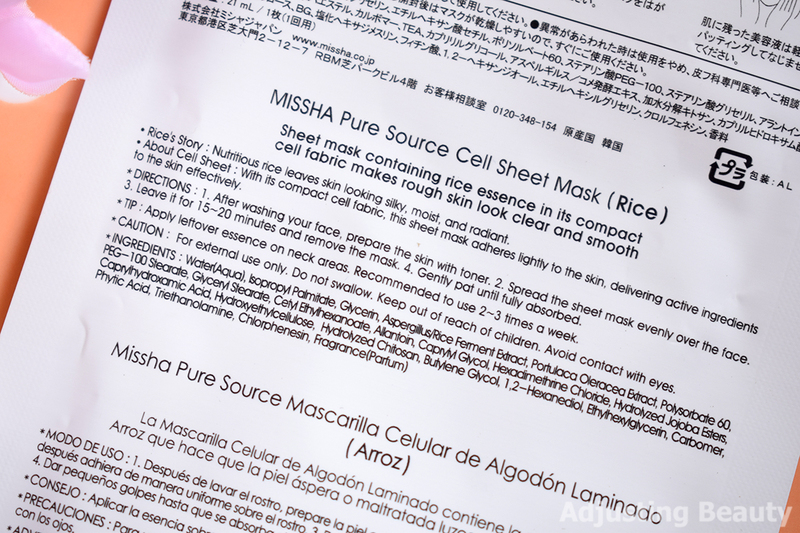 I have decided to put all the Asian sheet masks that I have tried so far in this post. This will give you a brief review of each that I've tried and hopefully, help you decided, if it's for you or not. 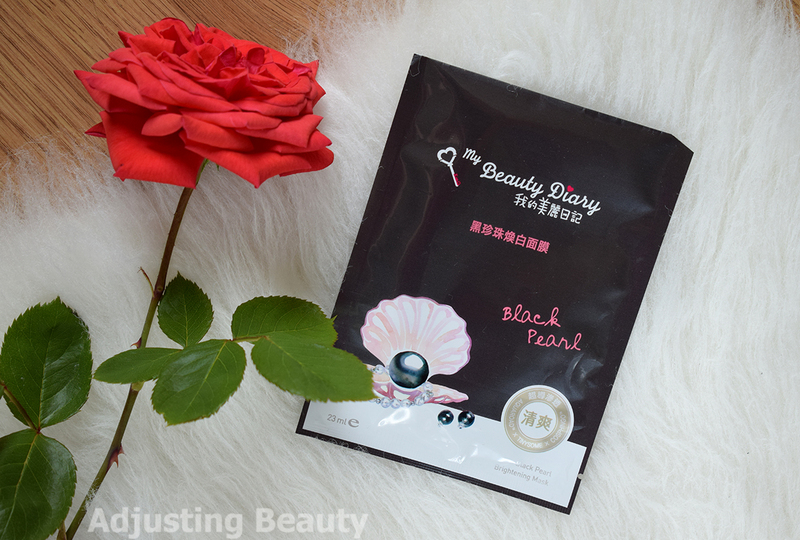 It has a thin cotton sheet mask that has a good fit, but is just a bit too short down my nose. 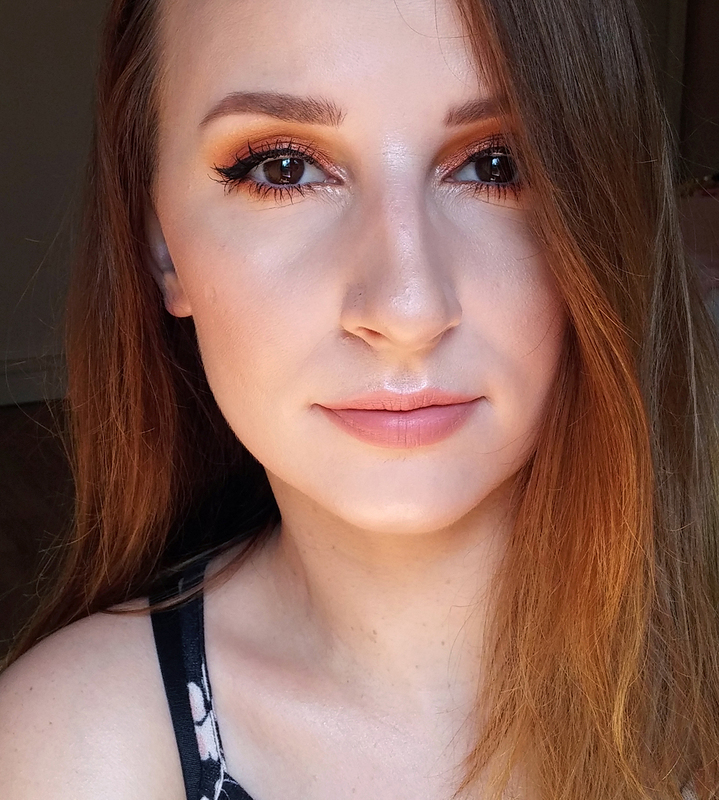 It covers my brows as well as most of the area around the eyes. It has milky white essence that has very herbal almost soil like scent to it, which I assume is ginseng scent. It's not too strong, but definitely very natural like. I felt that this was a very nourishing sheet mask. There was a slight sticky layer left on my skin once I took it off. My skin looked very glowy and plumped. It also moisturized well. 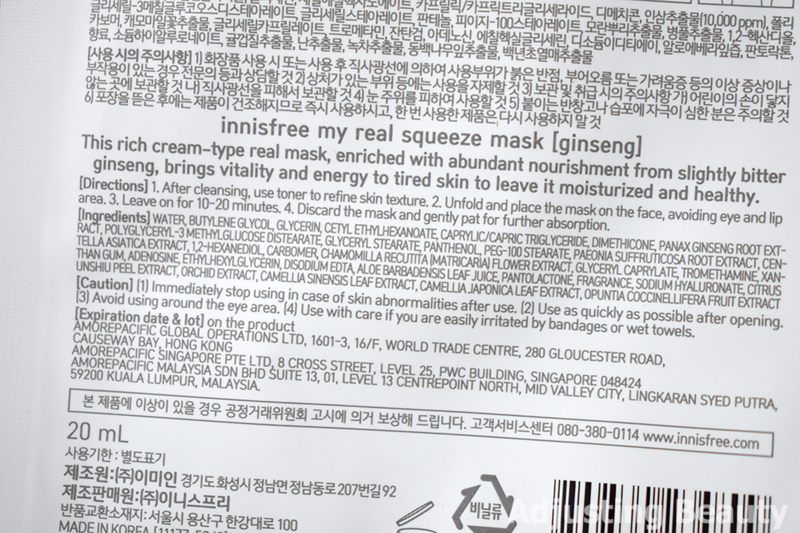 I also have review of two other Innisfree sheet masks. It has thin cotton sheet that fits my face well. It is long enough to cover my huge nose. Eye holes are small and lip hole is the same, but turned upward. It sticks well to the skin. Essence is milky white and feels very emollient. It has manuka honey very aromatic and sort of sweet scent, but with a tinge of citrus to it. It feels cooling and soothing on the skin. When you take it off, it leaves behind slight sticky layer. It felt very moisturizing and nourishing. My skin looked plumped and much more elastic. I was also happy to notice that the sheet itself didn't dry out too fast, which means there's a good amount of essence in it. Sheet is the same as with other Etude House Air Masks, so thin cotton and it fits well. Long enough to cover the nose and small eye holes. 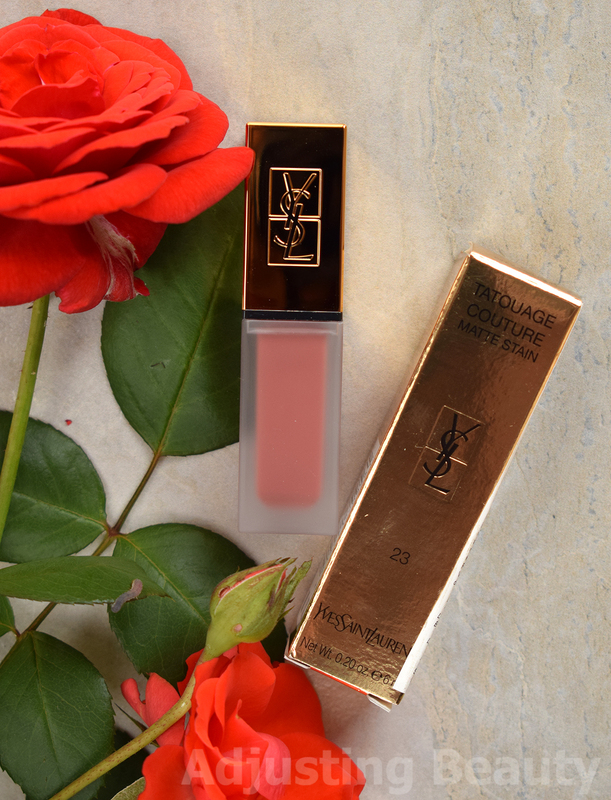 It's very saturated with essence and sticks well to the skin. Another milky white essence that is quite liquid. The scent is sort of fresh, but it doesn't remind me of anything in particular. It felt sort of soothing on the skin and I didn't feel any irritation from it. I'd say that this is more nourishing formula, but it's also nicely moisturizing. On the skin it leaves a bit of sheen. My skin definitely felt plumper after I took it off and my spots felt a bit calmed down. 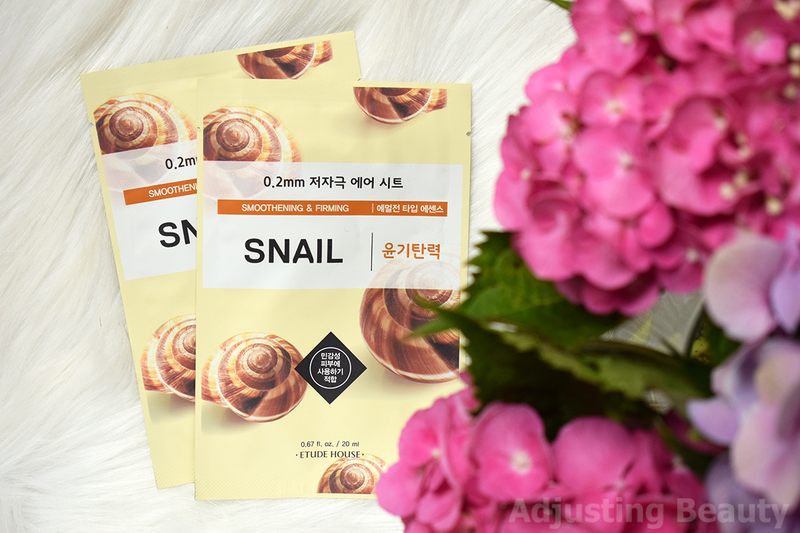 Snail is knows for being one of the best ingredients for healing, so it makes sense that it felt soothing. 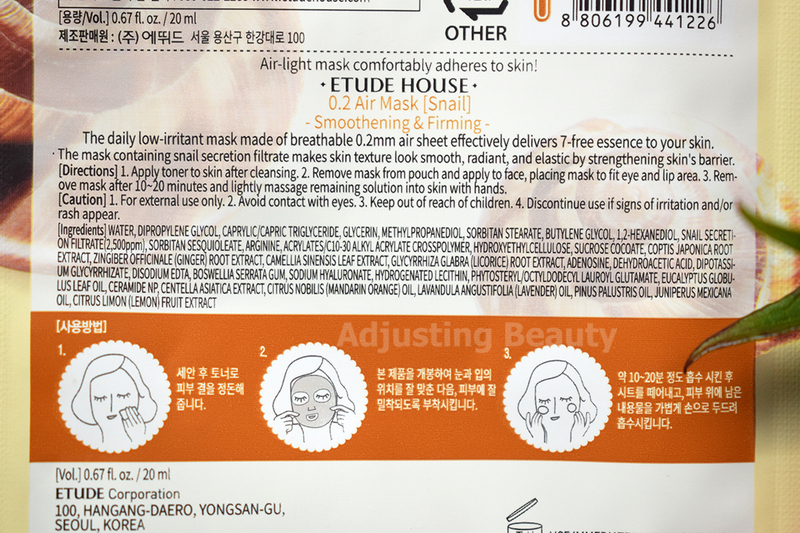 I already have reviews of two other types of Etude House sheet masks, so you can read about those in a separate post. It has fairy thin fabric sheet mask, but it's definitely on a thicker side compared to some others. The fit is good, but it could be longer down the nose. It also has bigger eye holes that could be tighter in my opinion. Essence is milky white. It has a mix of floral and herbal scent to it that is subtle. There is a lot of leftover essence. It dried out fairly fast on my drier parts of the face. Skin felt nourished, hydrated and it definitely looked brighter. My complexion was more even toned, but I've actually had more brightening masks before. It left lovely glow on my skin, but didn't feel sticky. There was a bit of irritation on my upper lip, because I had some dry cracks there, so I'm not sure if I would use this on a very sensitive skin. 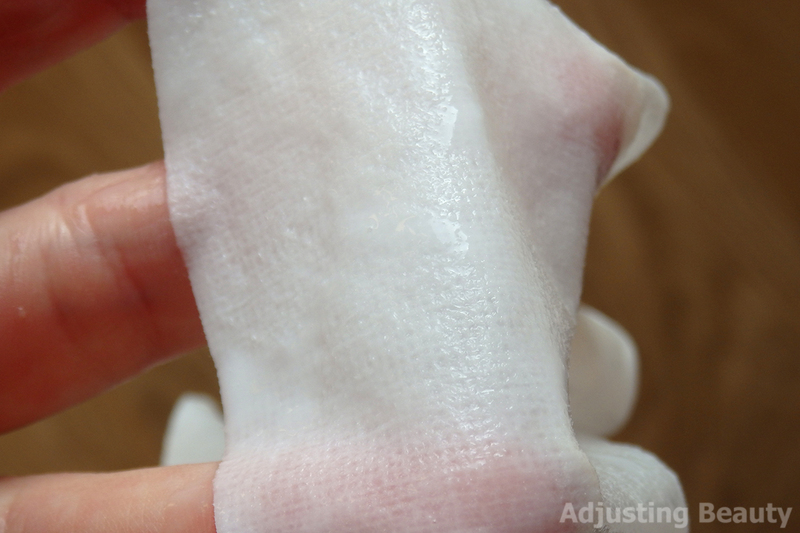 Another fabric thin sheet that sticks well to the skin. It has that weird upward mouth opening that so many Asian masks have. 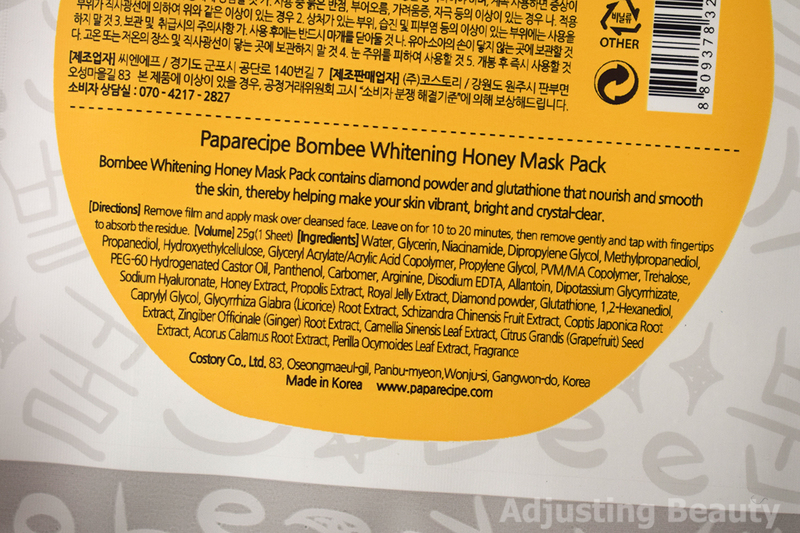 It's a thin and milky white essence that has a true honey scent. The scent reminds me of The Body Shop Honeymania Body Scrub scent that I once had in a mini size. There is a lot of leftover essence. Essence soaked in the skin well and it didn't feel sticky. It was very moisturizing and nourishing. My skin had nice glow to it, more of that proper healthy sheen, once I took it off. A slightly thinner cotton sheets that is super soft and fits well, apart from the weird mouth opening. Eye holes are a bit more oval. Essence is milky white and very saturated through the sheet. It absorbs into the skin well. The scent is kind of weird, because it's like a mix of soothing baby powder and something being burnt while baking cookies for example. It's a bit odd, but not unpleasant. 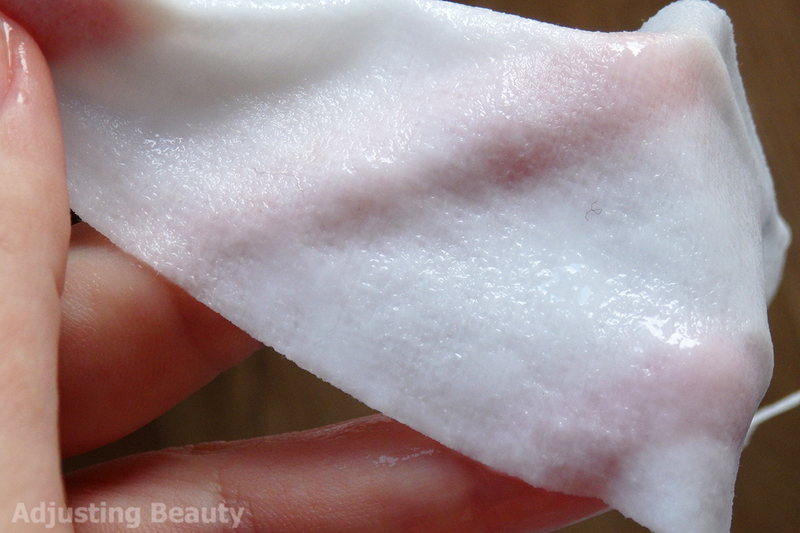 It felt soothing on the skin and it never really dried out completely. When I took it off, my skin looked brighter and more even toned. Mask also felt very nourishing and hydrating as well as slightly sticky. My was definitely softer after I took it off. I noticed the scent lingering on my skin and after a while it sort of reminded me of Library of Fragrance Baby Powder scent. 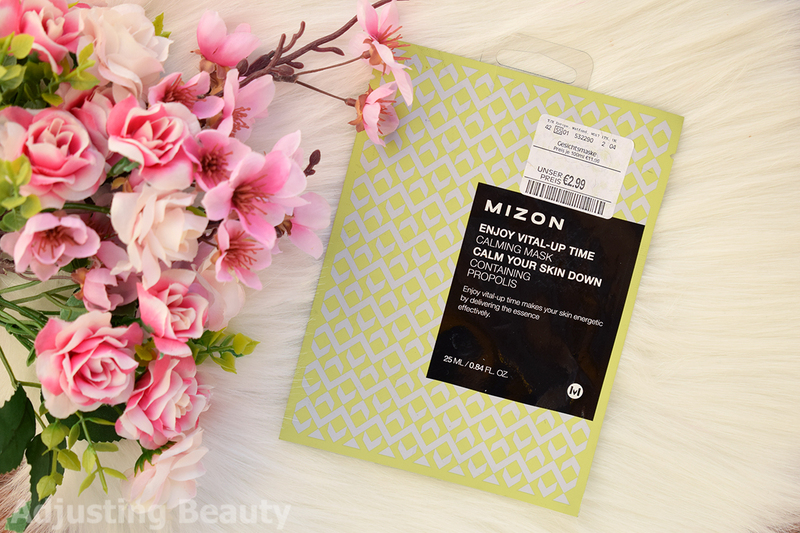 This is one of those really thin fabric sheet masks that sticks well to the skin. On one side it has protective plastic layer that prevents the sheet from sticking together. The fit is great. Eye holes and mouth holes are a bit big, but it's wide enough and doesn't tug across the nose. It has slightly white essence, but it's not really what I would describe as milky. 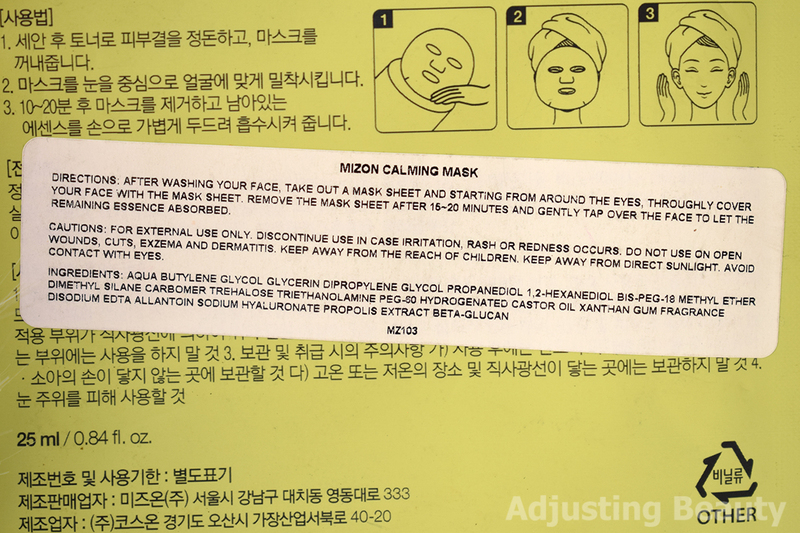 Sheet is well saturated with the essence, but some other masks had more leftover essence than this one. Scent is floral and fresh, but quite strong. It felt soothing and moist on the skin. It actually dried out faster than most of other sheet masks I have tried so far. My skin felt a bit sticky after. This one probably had one of the most noticeable brightening effect so far. My skin looked brighter in tone and much more evened out. I was the most surprised by the fact that my sallowness around the mouth was almost completely gone. Obviously the brightening effect went away as the day went one. Mask also made my skin felt nourished and moisturized. Sheet is dripping with essence as you take it out. On one side it has protective plastic layer that prevents the sheet from sticking together. 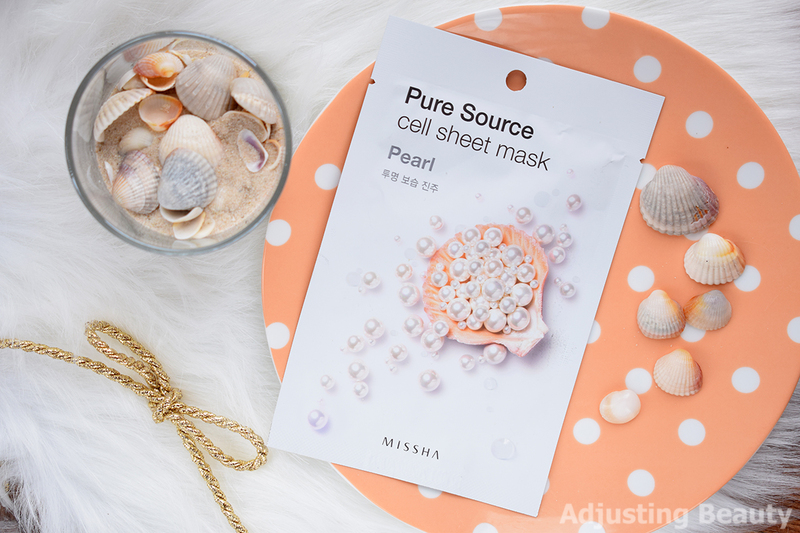 This was by far the thinnest sheet mask I have tried so far, again with that cotton fabric. It obviously sticks to skin very well. It also had really nice fit, it covered my whole face, the sides and nose length. Eye holes are a bit bigger. It has liquid, transparent and slightly viscose essence. Scent is sweet, pleasant and reminds me of oranges and honey. It's not overpowering though. It actually dried out faster on my drier parts than most of my other sheet masks, which was surprising, since it's so well saturated. My skin might have just been very dehydrated, when I used it. It left behind a slightly sticky and shiny layer. In general it felt cooling and soothing, there was no irritation. It definitely brightened up my complexion as well as around my blemish. 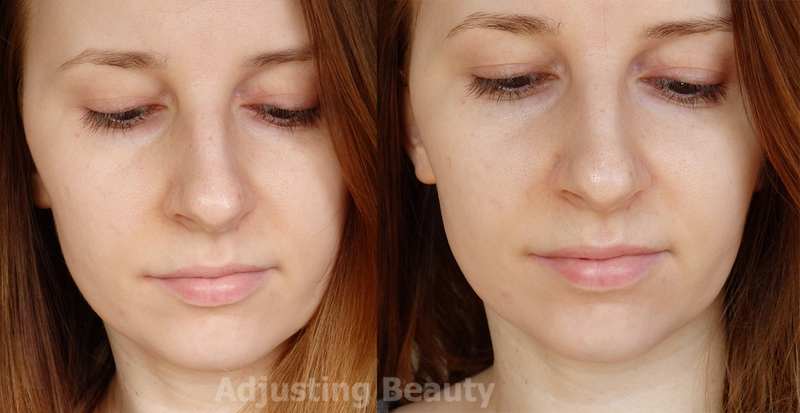 It also felt a bit tightening on the skin and very nourishing. My skin was visibly plumper. It has fairy thin cotton sheet that is nicely saturated. Eye holes are small (which I like, because I get a lot of hydration around eye area), but it's not long enough for my nose. Lip has small upward hole. Overall it fits well. It's also wide enough to cover the sides of my wide face. It's a transparent type of essence that is very liquid. Scent is fruity sweet and almost reminds me of sweet mandarins. It gives you a fresh and soothing feel. I didn't notice any irritations. When I took it off, my skin was well nourished like if I would use a nourishing cream. Layer on the skin isn't really sticky. It calmed down my pimple a bit and made it less red. In general skin felt well hydrated and in nourished, but not in a heavy way. There was no brightening effect. It also left some nice sheen on my skin. To conclude, I liked all of these masks and I've already repurchased a lot of these. 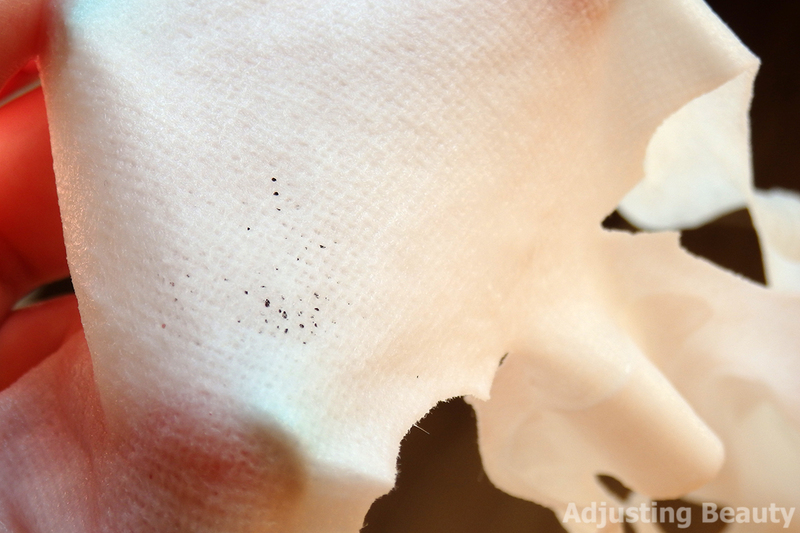 Some had more visible results, but it all depends on what you're looking for. I would put them in three categories: moisturizing, nourishing and brightening. 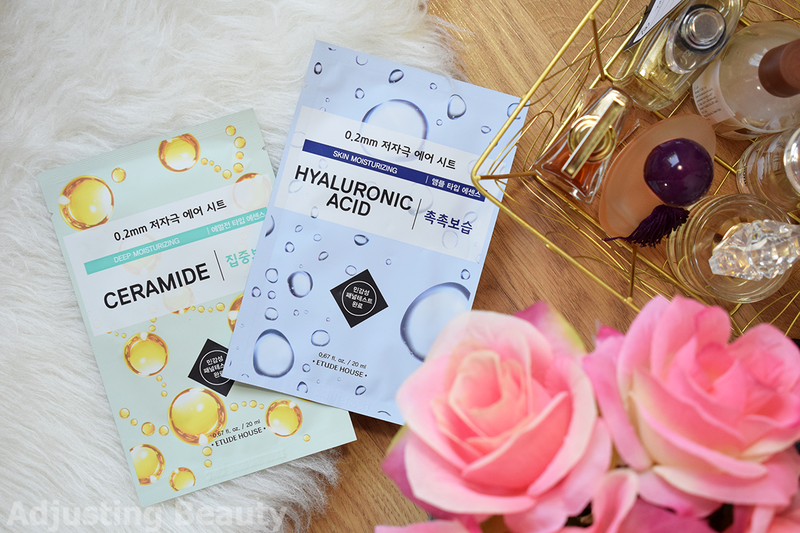 If you're looking for something lighter that will moisturize your skin well, but won't feel too heavy or glowy on your skin, then go for Etude House Hyaluronic Acid, Innisfree Bamboo and Innisfree Green Tea. 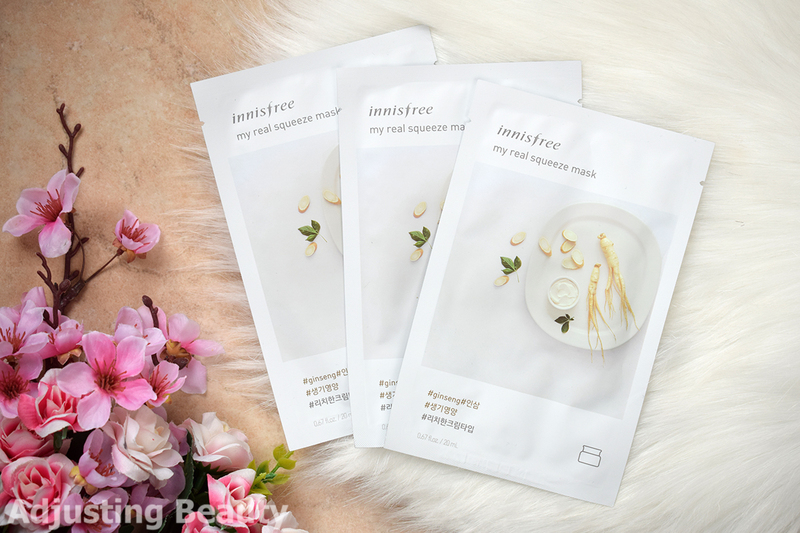 Mizon and Innisfree Ginseng are those that feel like the best mix of moisturizing and nourishing at the same time and they're not too heavy either. 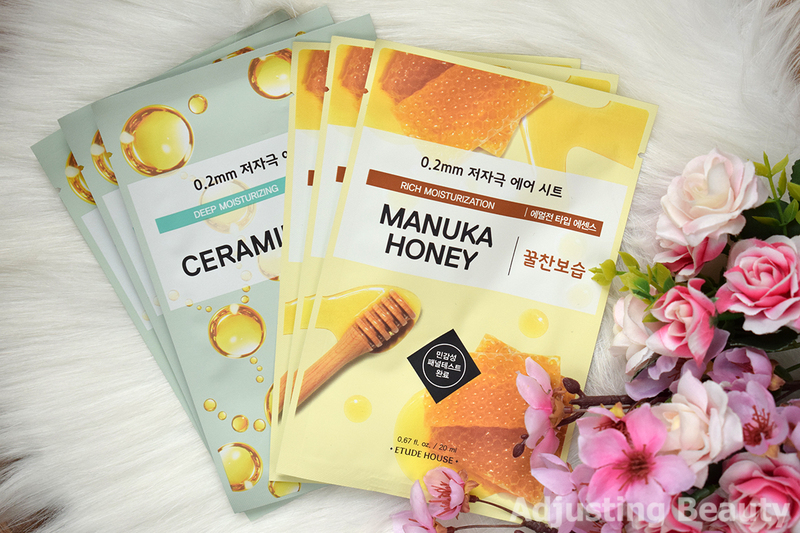 If you want something heavier and deeply nourishing, I recommend Etude House Ceramide, Etude House Manuka Honey, Etude House Snail and Missha Honey masks. 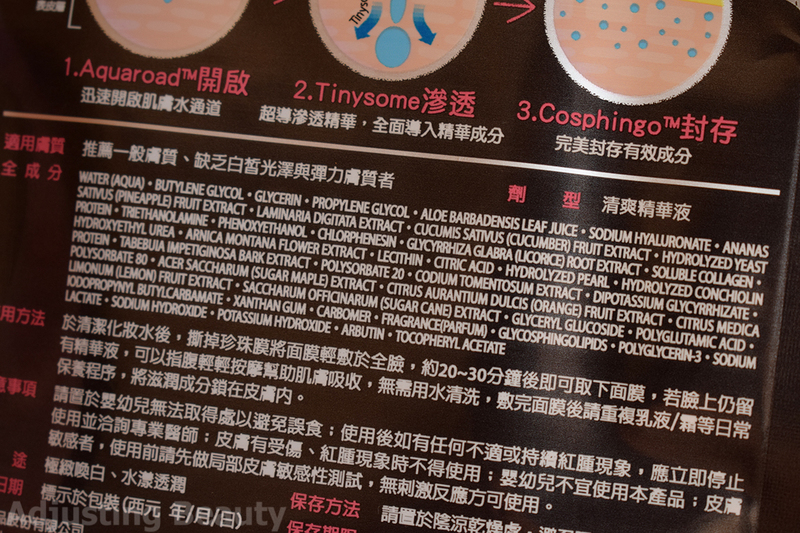 For that added brightening effect I would go with Missha Pearl, Missha Rice, My Beauty Diary and Papa Recipe. 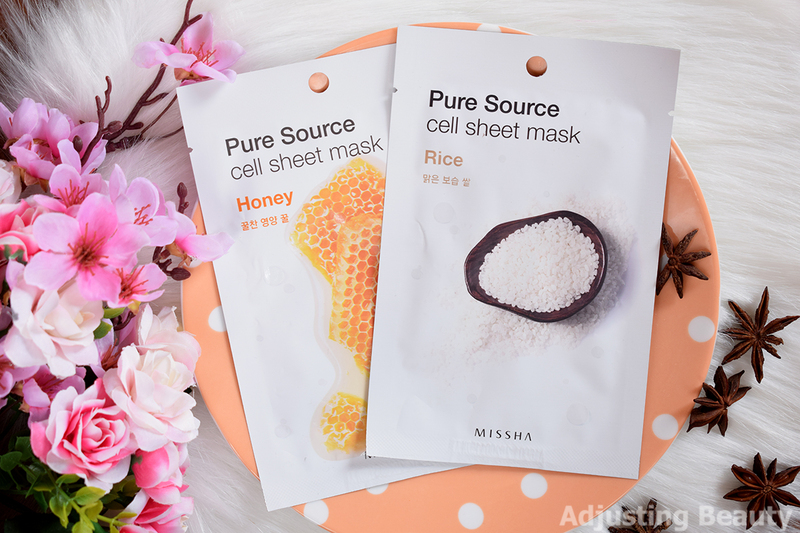 There is a lot of Asian online stores that you can buy sheet masks, I personally like Jolse the most. They often times have discount on different brands, so I tend to stock up on sheet masks when they're on sale. You can also find Asian retailers on Ebay and buy it there. 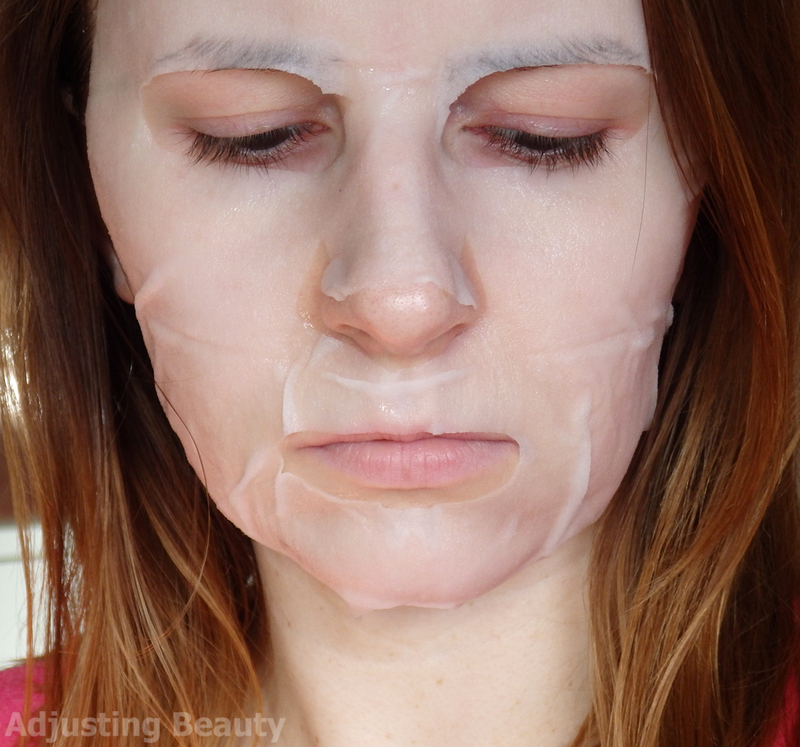 If you're looking for more sheet mask reviews, Mateja definitely has a lot of posts on that topic. Here reviews are more in depth and I often times go to her for suggestions on new buys. In Slovenia you can get some of these brands on Notino (formerly known as Salma) or on Skin Trick. Ličila.si have also started to carry some of Asian brands now. Super objava, rada berem o sheet maskah in zbiram priporočila. EH Ceramide sem že naročila po tvojem priporočilu, zdaj mi je žal, da nisem vzela še kakšne manuka honey. Sem jo že imela v košarici pa sem si premislila. Jaz itak večino kupim po tvojem priporočilu :D. Se mi zdi, da bo nasploh večina teh od EH kar dobrih. No odvisno tudi od tega, kaj katera koža potrebuje. Mene do zdaj še nobena ni razočarala :).